Last weekend we have visited Coventry and we brought Warhammer 40,000: Inquisitor - Martyr with us. 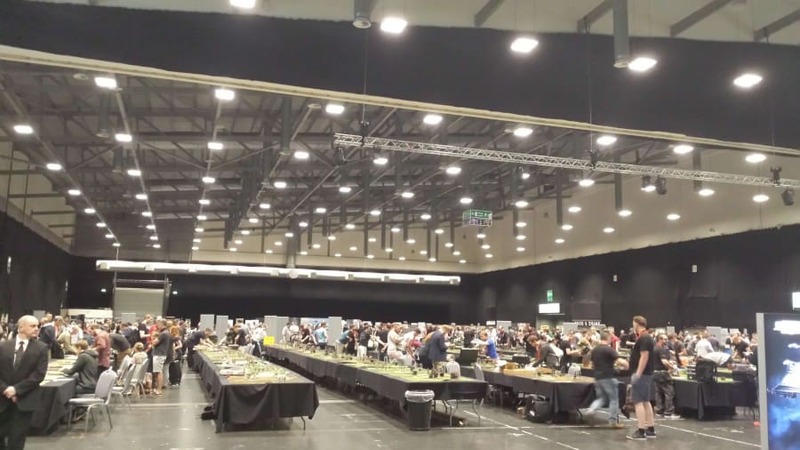 A lot of people gathered together that day for the event called Warhammer Fest 2017: here people could find everything related to Games Workshop's tabletop games - including video games. Here's how Viktor, our Narrative Designer saw the event. 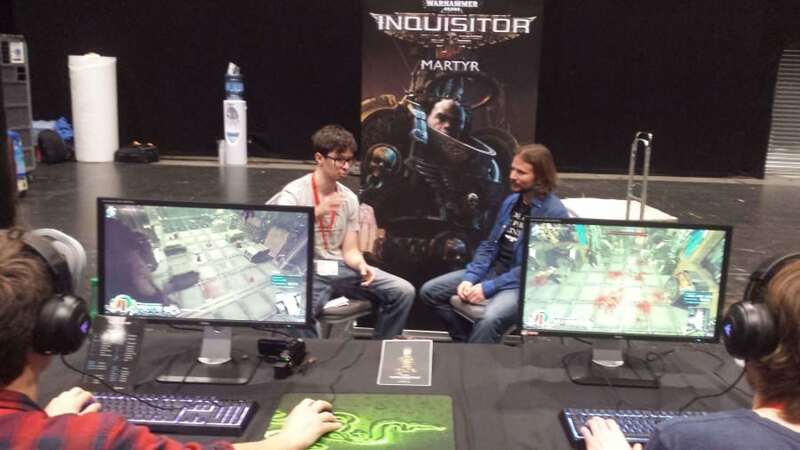 "In 2017 NecoreGames attended Warhammer Fest for the second time in a row, showcasing WH40K: Inquisitor – Martyr in the illustrious company of fellow video game developers in Coventry, UK. Last year we presented a short demo that met with universal approval (and we were happy about that), and this year we could bring something even more exciting, a playable alpha version, which is roughly the same game that our dedicated supporters in the Founding are already playing at home – it only lacked some of the online features. We presented two character classes (two Inquisitorial backgrounds, to be more precise, the Crusader Inquisitor and the Assassin Inquisitor) with three subclasses each and set them against a colourful array of enemies, including the ugly Daemons of Nurgle in one of the subsectors of our sandbox Sector with half a dozen systems providing numerous missions and even some Inquisitorial investigations. Much to our delight we had an almost constant flow of visitors at our booth – even better, the overall feedback was overwhelmingly positive and considering how devoted the visitors of Warhammer Fest are to their favourite hobby, this kind of personal feedback has been extremely important for us. We are very, very grateful. This year’s Warhammer Fest was even more spectacular than previous year, this time held in a huge hall with long tables for tournaments, a big store area and a large section for all attending video game developers – not to mention the various rooms of the Ricoh Arena where exhibitions, seminars and painting sessions took place. Being extremely busy, our small Cabal of two – Gergő, our PR manager and yours truly – didn’t have much time to explore the floors, but occasionally we managed to sneak out separately to take photos and marvel at the enthusiasm of the crowd. I also had a chance to introduce our trailer and the game in nutshell to the visitors attending one of the seminars, where two fellow narrative designers from Relic and Creative Assembly discussed their methods of crafting the storylines for Total War: Warhammer and Dawn of War III. 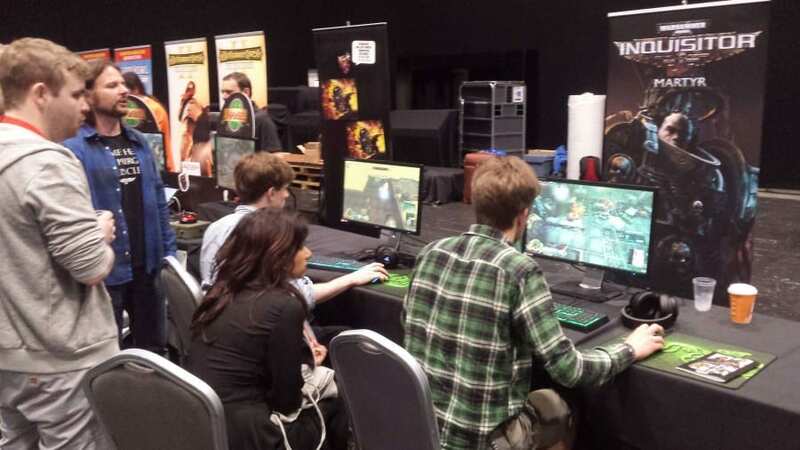 Warhammer Fest 2017 was a very enjoyable – and we think, immensely useful – experience for the NeocoreGames team – hopefully we’ll be there in the future as well." "Viktor summarized our visit nicely, but I'd like to chime in as well, to thank all of you who stopped by at our booth, shared your opinion on the current status of our game or tried it out for the first time. Hope you guys enjoyed this weekend just as much as we did. The amount of interest during these two days regarding Martyr overwhelmed us, and it was awesome to meet (big shoutout for the folks who came all the way from Singapore) with so many people who are into Warhammer and action-RPGs." 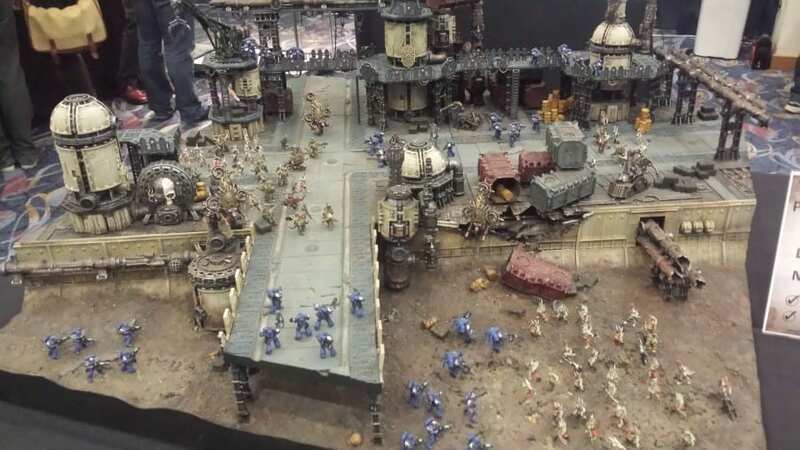 So, have you guys been to Warhammer Fest this year? Great meeting you both. Keep up the great work! Preserve up the awesome work!